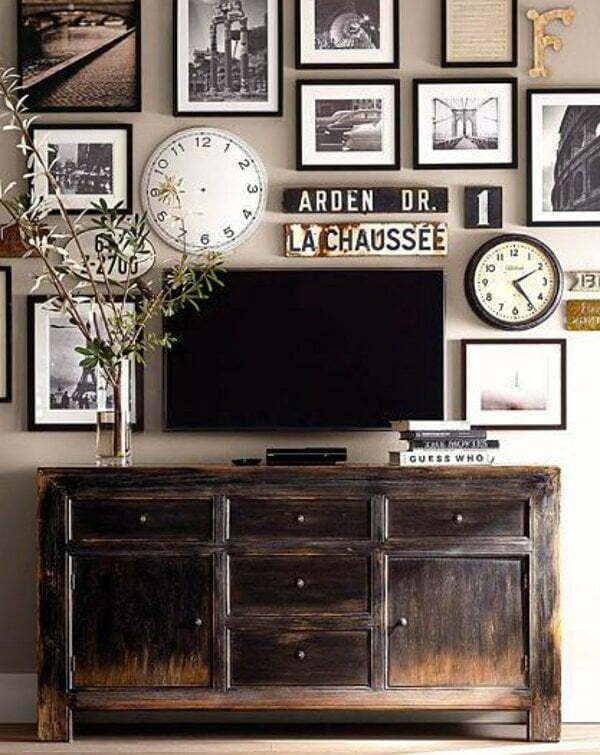 Vintage decor is definitely out of the ordinary and adding vintage style elements to the home decor is usually tasteful. We also admire those authentic vintage homes that have saved their style over the century or that were refurbished. And while you can’t create authenticity where there’s none, you can create a vintage style. Pastel colors, usually light brown, green or blue shades, or often just plain white. Wallpapers and tapestries with floral patterns. Old and antique accessories, such as clocks, books, boxes, and chandeliers, let alone vintage furniture. All these are the traits of the vintage style and using them you can hint to it in your home decor. 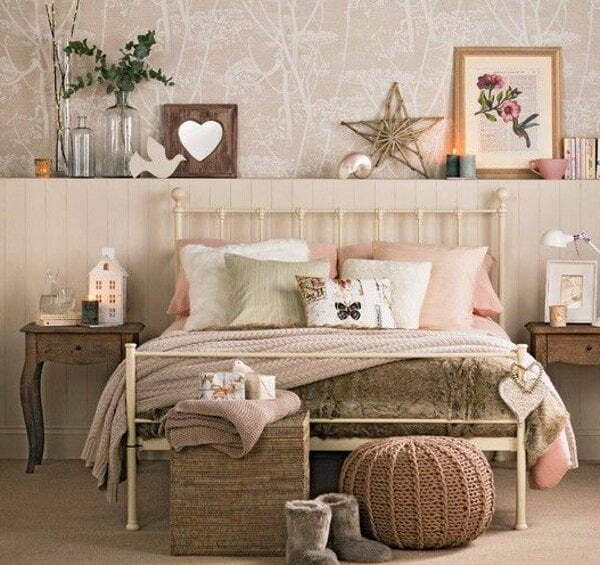 Don’t be afraid to also use rustic or shabby chic furniture and accessories, and especially French country style as they can also create the vintage feel. Next are several more ideas and examples of how to create the vintage style. 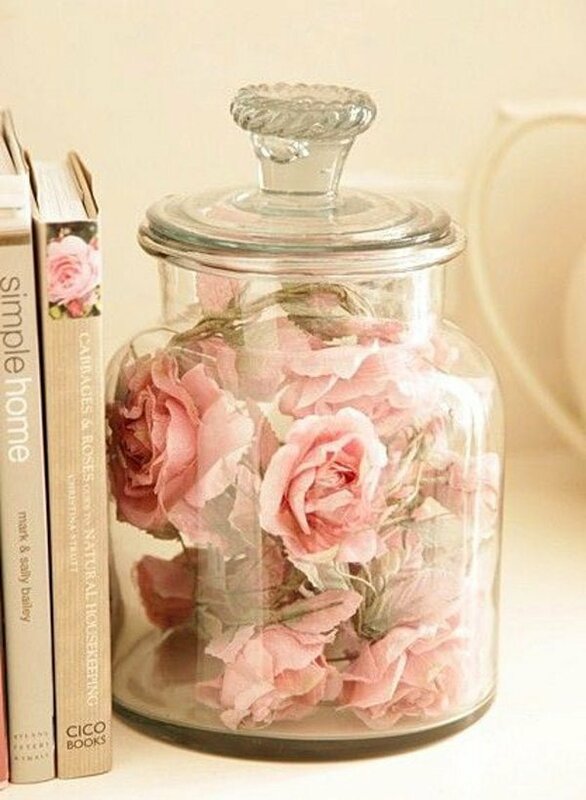 Use jars to dry flowers for an immediate vintage touch. 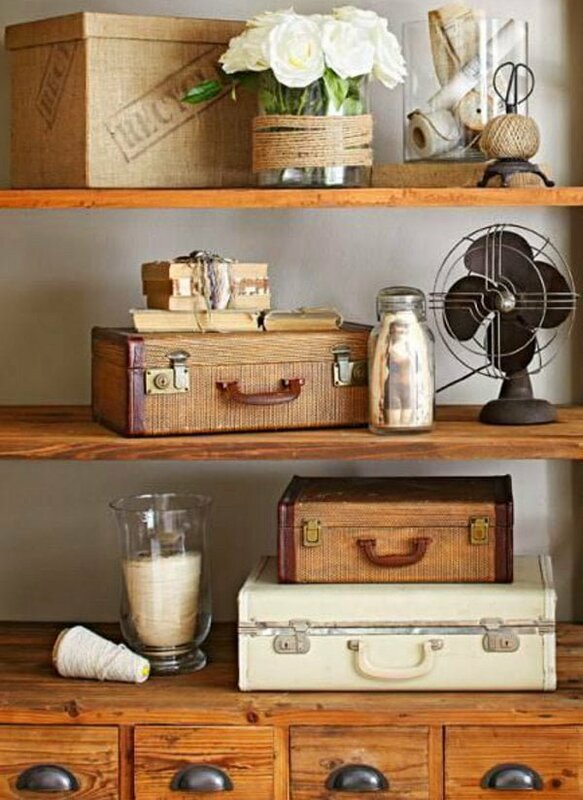 Old or shabby chic boxes and cases allow you to fill in the empty shelves and give you extra storage space and of course, add to the vintage style. 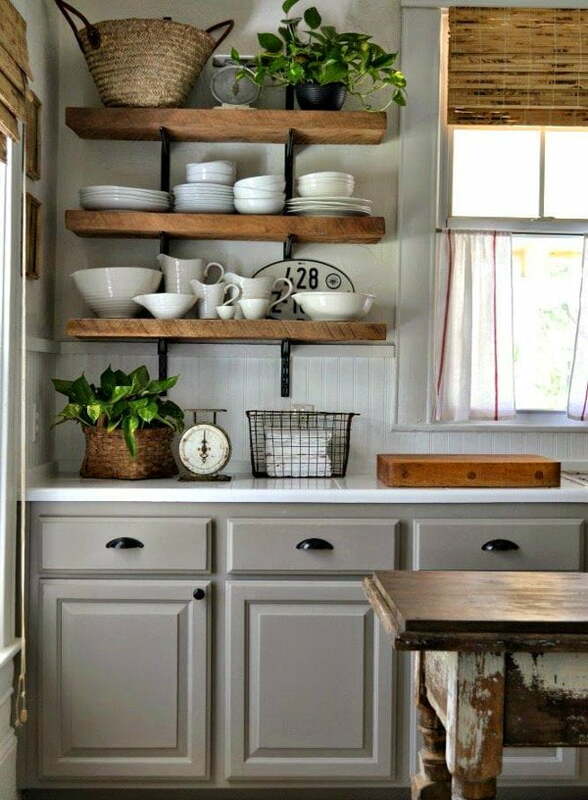 Extra points if the shelf matches the style too. This sign is truly unique and you will hardly do something like that but it does add to the vintage style. 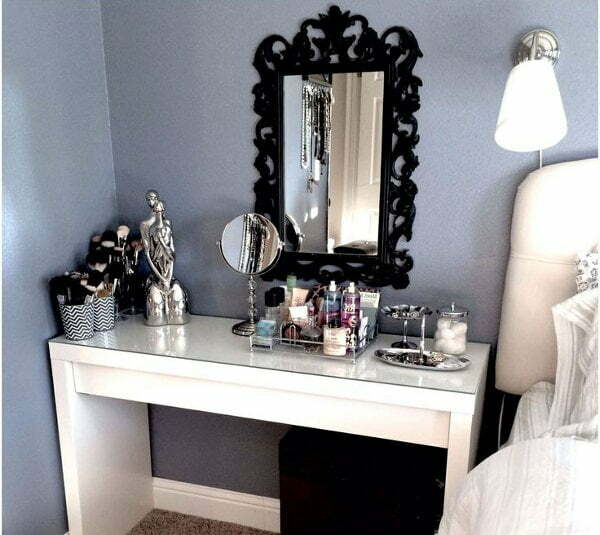 For the bedroom, get an iron bed and rustic or shabby chic furniture will help too. 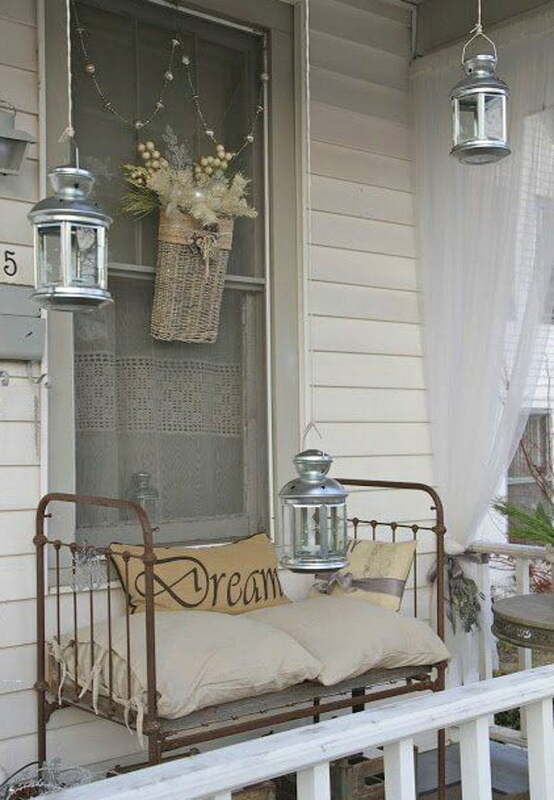 This is a kids iron bed used as a porch bench. 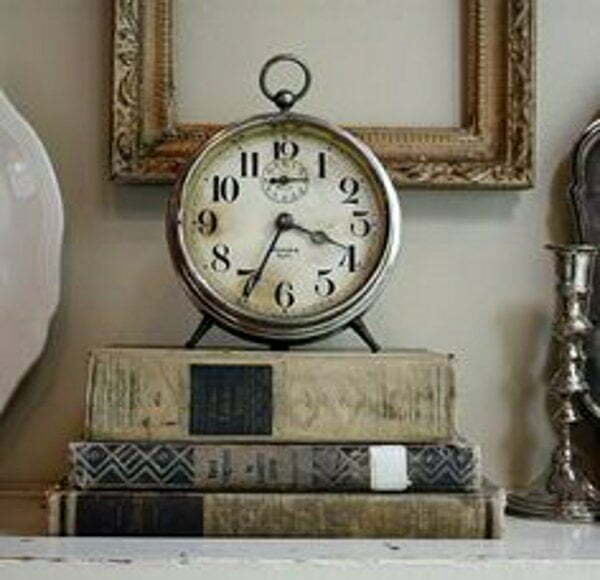 Old books and vintage clocks immediately create the vintage style. Woven baskets filled with old books. 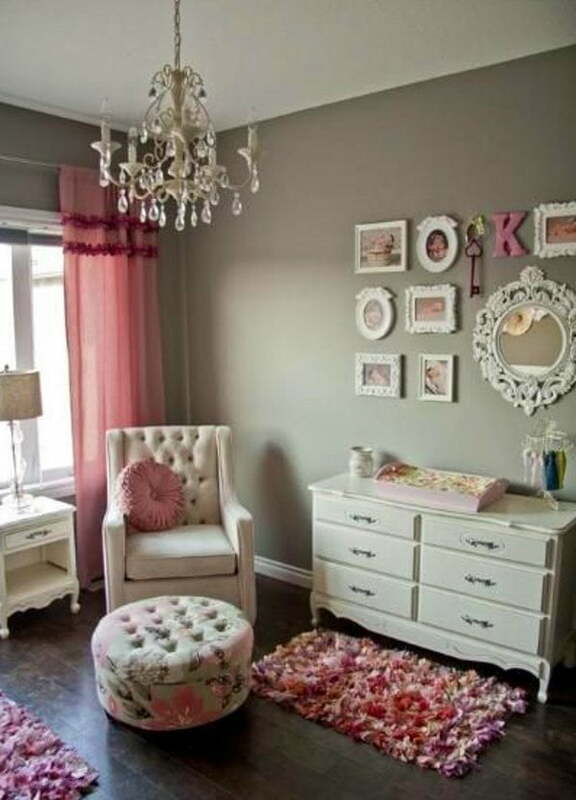 Also pay attention to the pastel colors of the furniture. This is a very vintage cabinet for the bathroom – a true gem. 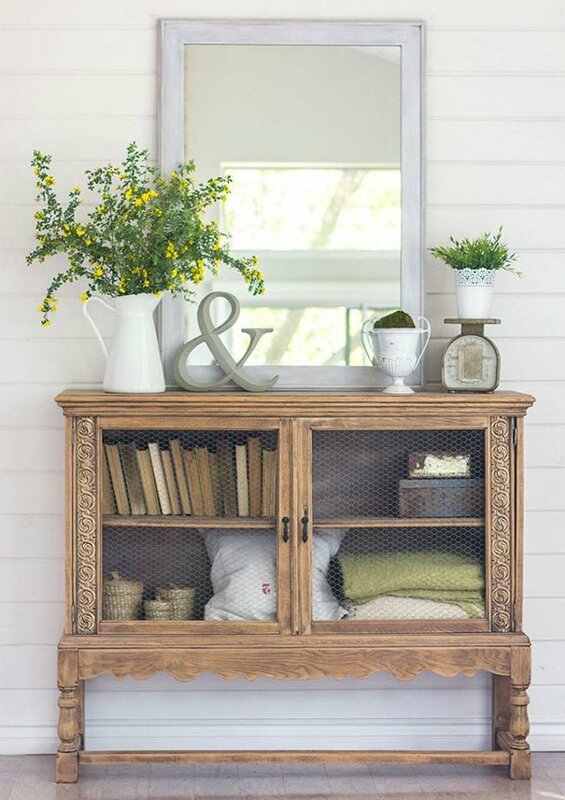 Another great vintage cupboard and the use of old antique accessories. 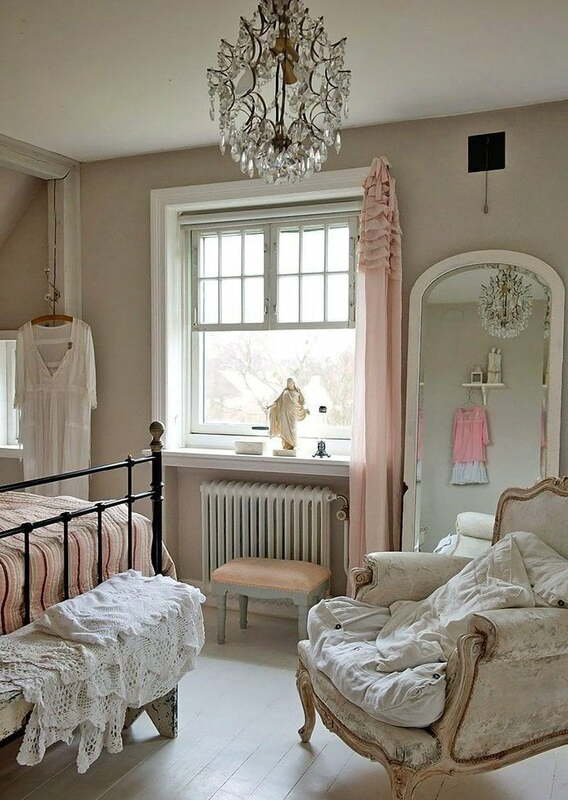 A complete authentic vintage decor like this offers a lot of ideas, from the furniture to the use of laces. 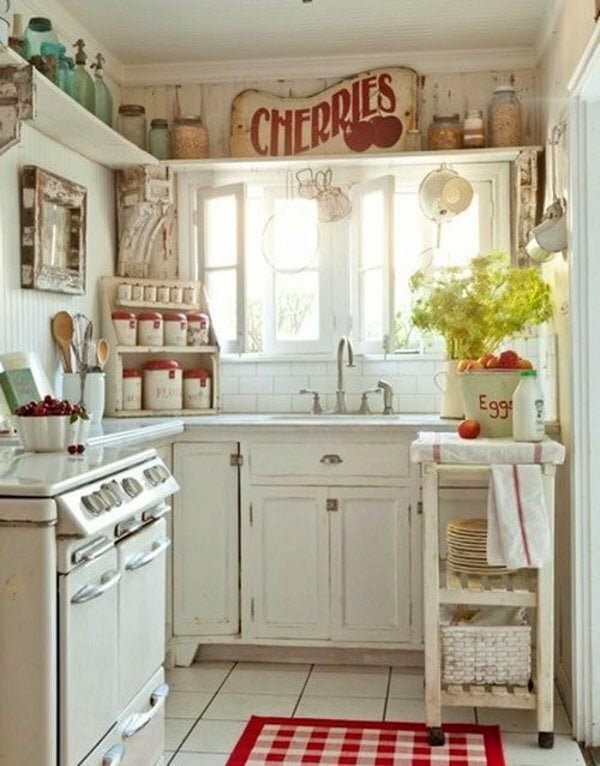 You may not get such vintage kitchen appliances but you can use decorative vintage signs, frames and dishes. 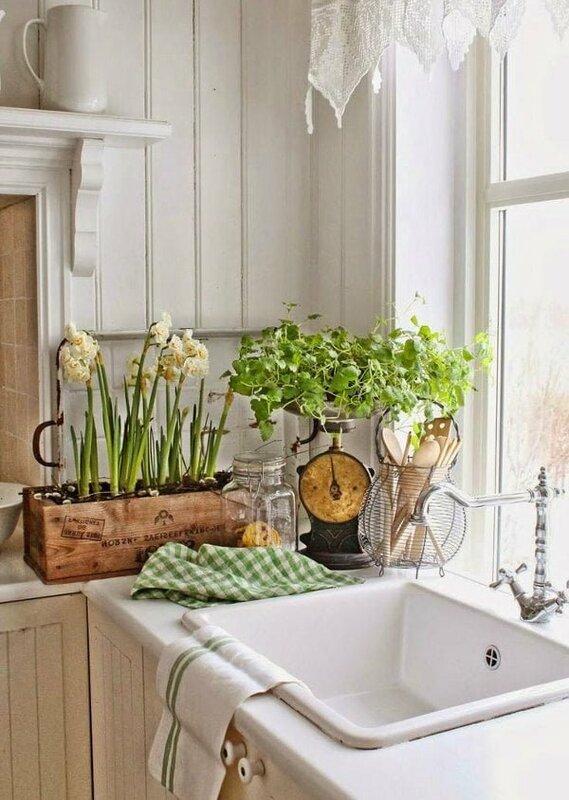 A remarkable vintage faucet, old vintage scale and reusable boxes used to grow plants. 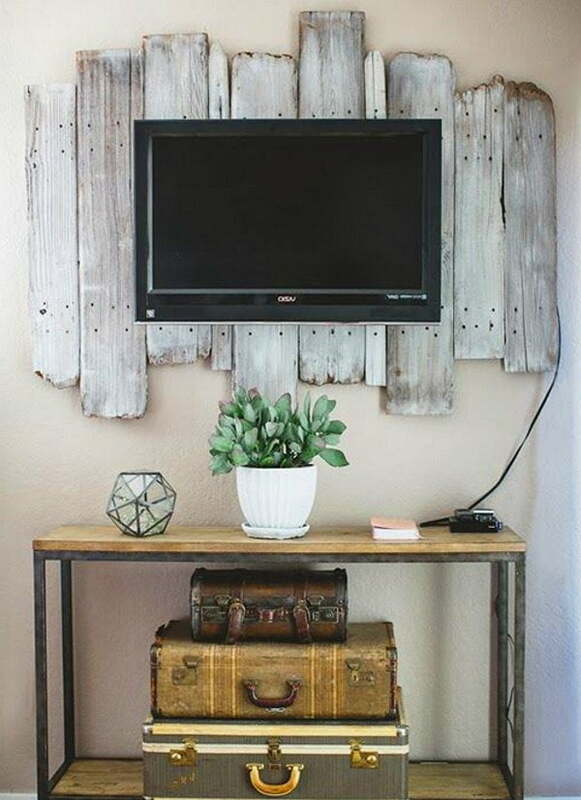 Plenty use of wood material and the rustic style also can create the vintage style. 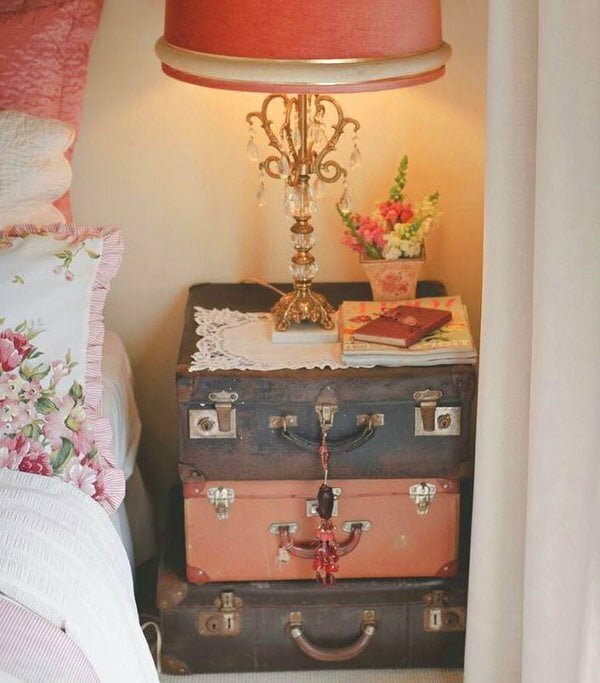 If you’re creative enough you will create your own furniture, such as this nightstand made of old briefcases. And what a gorgeous shade lamp on top. What do you do with the modern electronics? 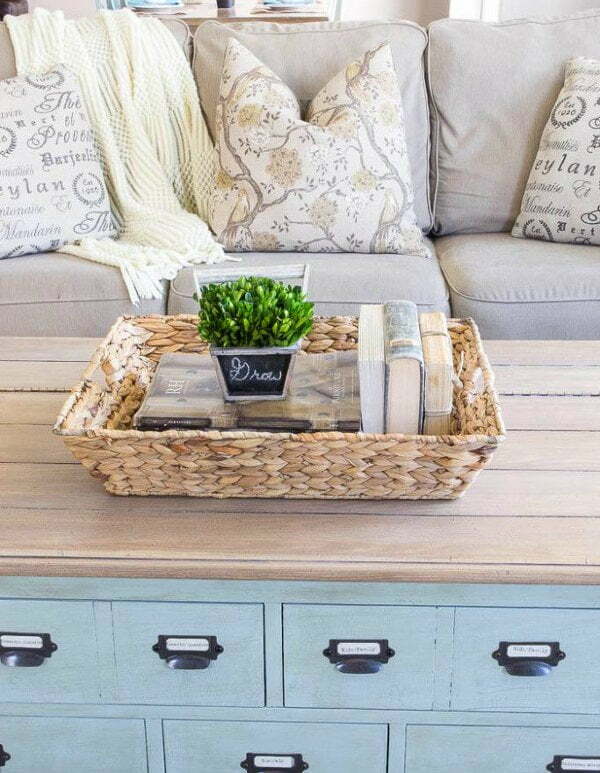 You can overwhelm them with vintage furniture, frames, signs and other accessories. 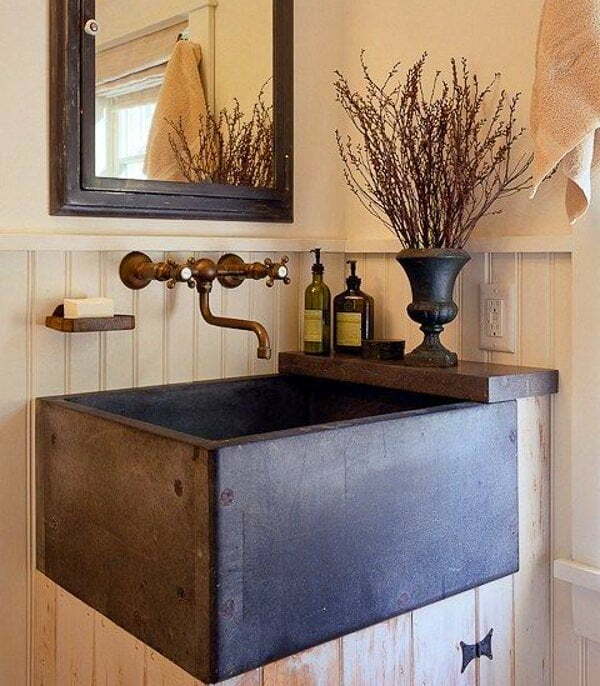 For the bathroom, use vintage or rustic sinks and faucets. Great typical vintage room decor. 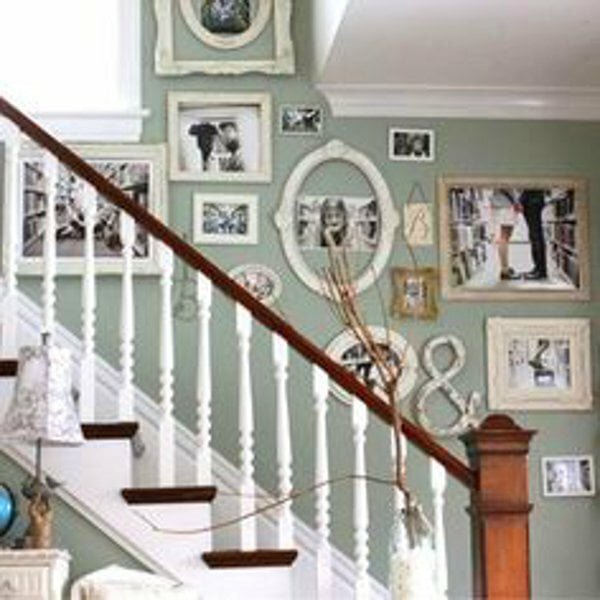 Staircases with picture walls are very vintage. 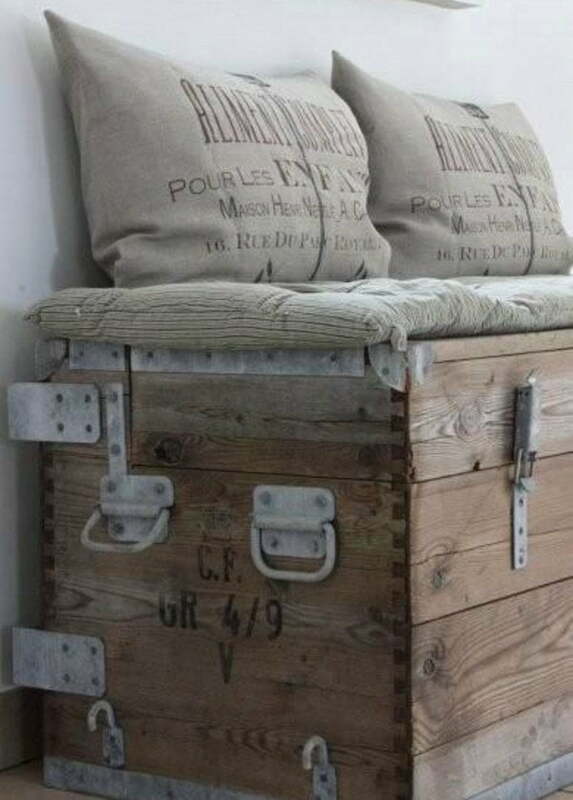 If you create this make shift bench for your home you will really bring the vintage style together. 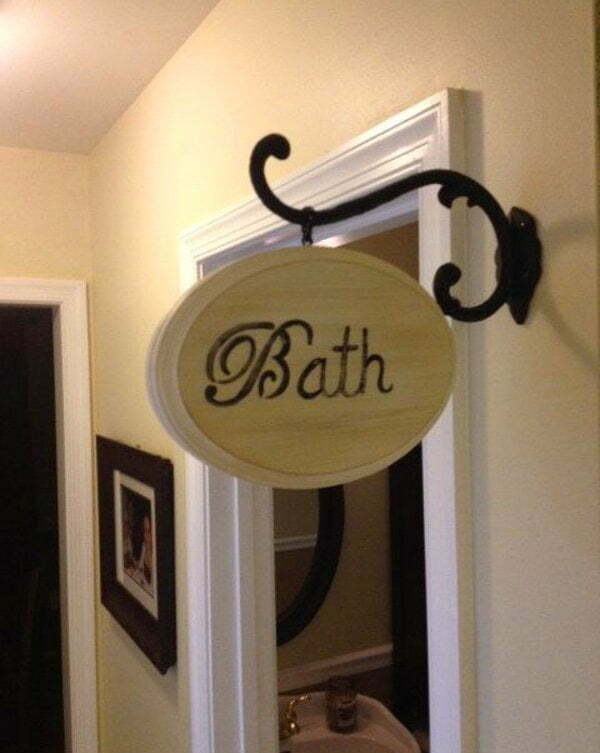 Another creative example of re-usability. 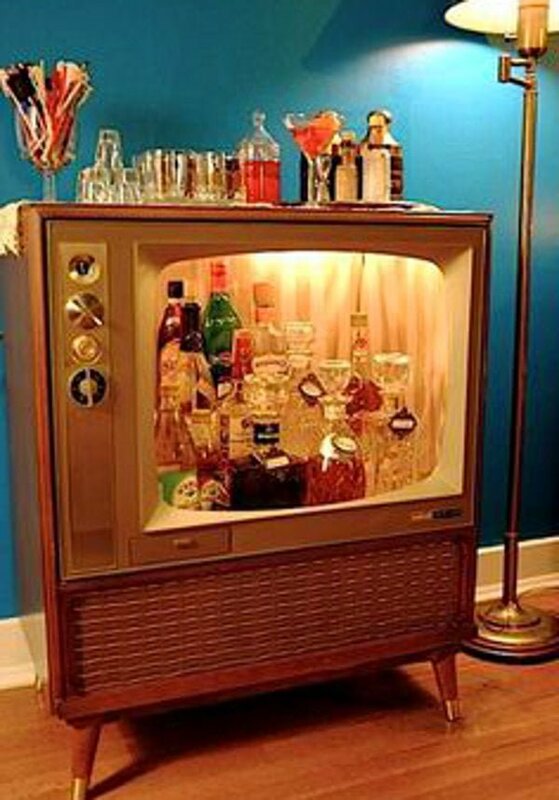 Of course you would never throw this gorgeous vintage TV away. 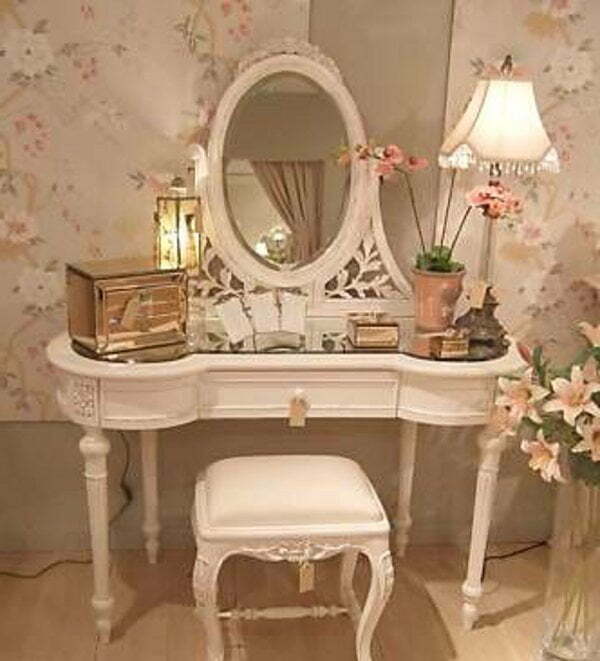 What can be more vintage than these beautiful vanity desks.